“Nag-umpisa ang ACE-UP sa iba’t ibang UP campuses gaya ng sa Diliman upang ipaglaban ang kontraktwalisasyon at mairegular ang mga kontraktwal,” (ACE-UP started in the different campuses like in Diliman to fight contractualization and regularize contractuals) said Jasmine Joven, the current President of ACE-UP Baguio. 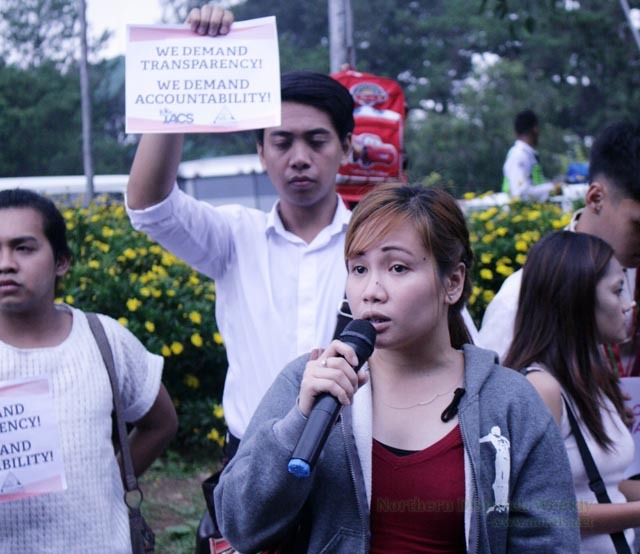 She said that there is now a glaring need to build unity and organize in UP Baguio to focus on the needs of contractuals like her, not only because they have their rights and needs but also there is the sad fact that the number of contractuals, not only in the university, is consistently increasing. “Sa totoo nga niyan, 36 job orders na ang nasa UP Baguio,” (The truth is, there are already 36 job orders in UP Baguio) she said. In a statement released, ACE-UP says the case of contractual hirings in UP is worsening. “Sa kabila ng malakas na panawagan para sa regularisasyon, kung anu-ano pang pakana ang ipinatutupad ng administrasyon para lamang takasan ang responsibilidad nito sa kanyang mga empleyado tulad ng freeze hiring, ang paggigiit ng no-employer-employee relations, tanggalan at panggigipit,” (Despite the strong calls for regularization, there are so many schemes being implemented by the administration just to escape their responsibility towards their employees such as freeze hiring, insisting on no-employer-employee relations, firing and forced resignations) the statement reads. 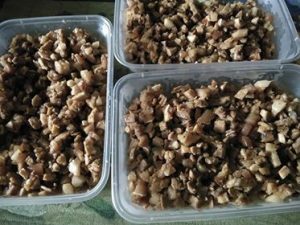 “Sa ngayon, hindi na kaaya-aya ang nangyayari sa mga kontraktwal. Wala kaming natatanggap na sahod. Kadalasan, delayed. Walang benepisyo,” (As of now, ‘working conditions’ are nolonger conducive for contractuals. We do not receive salaries. Often, it is delayed. There are no benefits) Joven said as she then gave an example how this kind of practice affect the likes of her. “Ako ay isang single mom, yung kakarampot ay pinagkakasya ko sa anak ko at sa’kin. 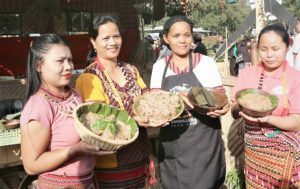 Tanda ko pa noong Pasko – walang bonus, walang leave incentives — ang hirap maging masaya at gumasta lang basta-basta kahit pasko naman” (I am a single mom, I stretch what little I earn to make ends meet for my child and I. I remember last Christmas – there was no bonus, no leave incentives – it is hard to be happy and just spend even if it was Christmas). “Bukod sa sahod at benepisyo, walang employer-employee relationship. Walang bonus. May mga pagkakataon din na may diskriminasyon,” (Aside from pay and benefits, there is no employer-employee relationship. There is no bonus. There are instances of discrimination) Joven added. Given this, they have three main calls: first, they call on having a clear, concrete, and systematic action for the regularization of the contractuals in UP; second, give these contractuals their rightful benefits; third, recognize the employee-employer relations in UP. Along with these calls, ACE-UP Baguio gives focus on the campaign for the right subsidy and the right monthly salary. Their general campaign is to stop contractualization and to advance the rights of all workers – contractuals or non-contractuals, etc.